Martushka Fromeast graduated from the Academy of Fine Arts in Poznan, Poland, as well as from the Central Saint Martins College of Arts and Design in London, UK. She started her carrier working as a photojournalist. In 2004 she co-founded the Click Academy, an art group that uses pinhole photography as a means of social change. She is a co-author of Romani Click project, which is a voice in a discourse on an approach to education of Roma and was exhibited internationally including in Austrian Parliament in Vienna and in 2nd Roma Pavilion in Venice International Arts Biennale 2012. Her photographic works documenting cultural heritage of Himalayan region were awarded in BZ WBK Press Photo in Poland, Photophilantropy (USA), Forward Thinking Museum (USA), International Photography Award (USA) and Kolga (Georgia). They were also exhibited internationally in UK, India, Nepal, China, Georgia, Slovenia and Poland. Martushka was also facilitated with Abhivyakti Gaurav Samman Award in India. People and their stories fascinate me. I am interested in storytelling as a collaborative phenomenon. My projects are created in the process of interactions. I have background in cultural anthropology, photography and design. I crave to understand the diversity of people's lives and believe that any attempt of understanding is an on-going process, which requires constant questioning and self-reflection. My creative process includes collaborations with a wide range of people from different communities, cultures and professions: from Roma children in Easter European Roma Settlements to a Himalaya Guide in India or Shamans from a small village in Nepal. I believe that we live surrounded by different and sometimes compelling narratives and contemporary art is a means of creating dialog between them. Arts should not be concerned with establishing general truths, but rather help to re-tell individual and group stories, in particular stories of those, whose voices are not sufficiently represented in mainstream discourse. Below, Martushka answered a few questions about her series and photography practice! Why did you choose photography over other artistic mediums? Photography is a justification for my untypical need to explore the places where no one else would ever go. It is also a way of researching and analyzing the world and the easiest way of documenting it. I am driven by a passion and hunger for life. At the very beginning of my carrier as a photographer I hitchhiked to Moscow with a recycled Canon camera, and brought back from this trip a bunch of photos of drug addicted new Russians. I also traveled to Turkish Kurdistan to cover a story about the ground reality there. I photographed Ukrainian Orange Revolution and undertook half a year residency in The Centre for Homeless Mother and Children in Warsaw (Poland). The stay changed me, I became completely overwhelmed by the reality and wanted to do something for the kids residing there. Pinhole photography seemed to be the best tool due to its magic, simplicity and egalitarianism. It kept the magic of a picture not showing the real world any more but taking it beyond imagination. The technique was helpful to me as I wanted to create pictures where dreamtime meets reality. This was a starting point for a community project, which completely overtook my photographic practice for nearly eight years. Along with participants of its different facets, we had a chance to do nearly everything with pinhole photography; we were preparing illustrations for stories, short films and printing books. With a shipping container transformed into a camera obscura I took the biggest photograph in Poland. 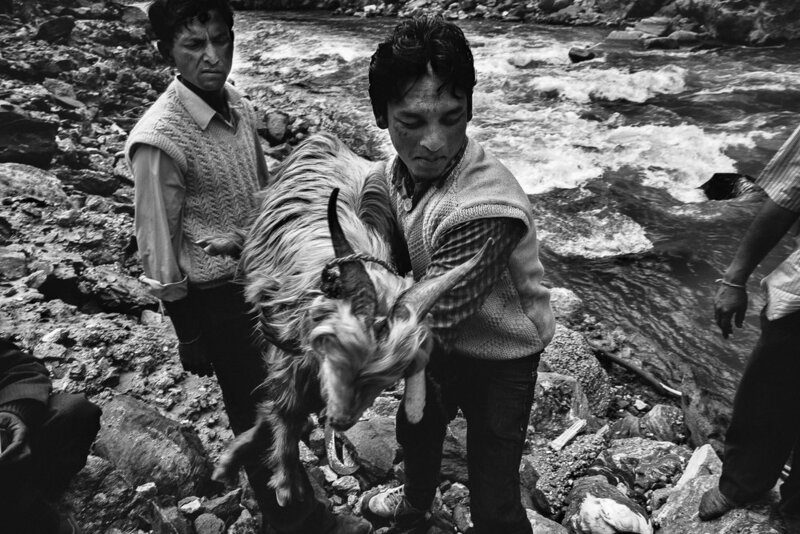 The need for documenting Himalayan culture came much later, after my first travel to India, which took me to Himalayas. The trip triggered magical memories of my childhood; I became obsessed with spiritual power of mountains. It was after next journey to this remote part of the world I by accident came into possession of book about Himalayan goddess, Nanda Devi, who was somehow symbolical to my childhood. How did this series start for you creatively? Nanda Devi (7816 m) is the highest mountain located entirely inside India. It’s name means "Bliss-Giving Goddess", and the mountain is regarded as the patron goddess of Uttarakhand Himalaya. Nanda Devi is a two-peaked massif forming 2 km high ridge oriented East-West. The western summit is higher. It is guarded by a barrier ring comprising some of the highest mountains in the Indian Himalayas, twelve of which exceed 6,400 metres in height, further elevating its sacred status as the daughter of the Himalaya in Indian myth and folklore. The western summit is accessible via western part of Uttarakhand, Garhwal, with last human occupied settlement called Lata. The eastern summit called Nanda Devi East is accessible via the eastern region of the state called Kumaon with Martoli/Munsyari being last human occupied village on the road to summit. Garhwal and Kumaon are culturally distinct, people speak different languages and eat different food but residents of both regions consider Nanda Devi is the major goddess, their mother and a consort of Hindu God, Lord Shiva. I was maybe 10. On one of the days during summer holidays my cousin sister and me were playing and searching around the attic of the old wooden house my family was renting in Polish Tatra Mountains. We found a bunch of notes taken during spirit calling ceremony adults must had organized to entertain themselves. The house our family was renting was named Nanda Devi to commemorate the mountain ascended by a group of Polish climbers during first ever Polish Himalayan expedition in 1939. All of the 4 members of the expedition ceased within 10 years of climbing the pick and none of their bodies were ever found. Himalayan climbing is someway a national sport in Poland. The stories of risk and heroism of warriors, however considered to be controversial, are widely discussed and somehow perceived as symbolizing the true soul of a Pole, a hero and a warrior. Yet in communism Poles reined the highest mountaintops of the world. 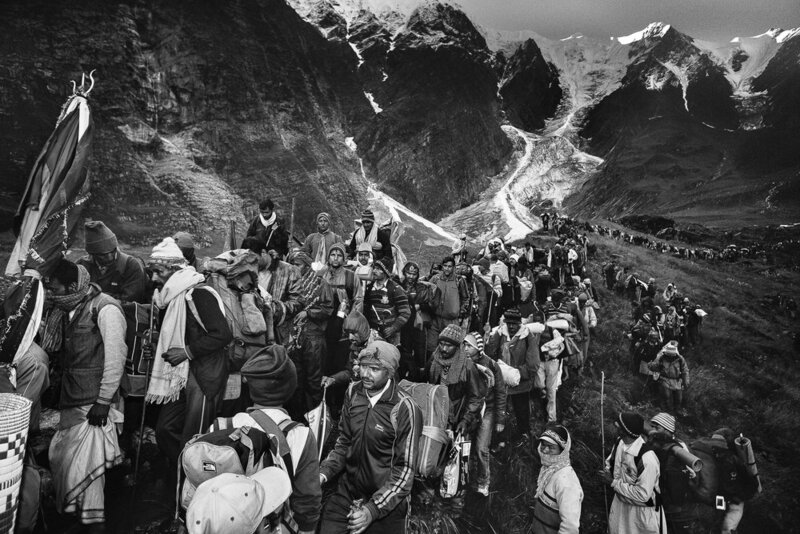 The story of the members of first Polish Himalayan expedition was known and retold by people connected to the Solidarity movement, since many of its leaders were climbers. The story however was never openly told in public. It belonged to the part of Polish history that was supposed to be whispered solitarily between the trusted known. Only after the transformation in 1989 the story gained public attention. What reflections have you come to after finishing this series? If you are still working on the series, what revelations have come up while creating the series? I started photographing different cults on Nanda Devi, Bliss-giving Goddess of Uttarakhand, after I moved to India in 2014. People of Uttarakhand believe that Nanda Devi is a consort of Lord Shiva. During the period when I was working on the Nanda Devi narrative my husband had deserted me as well as our small daughter and started to create own karma with a lover. To help myself to see the future, I was travelling to the small coherent worlds of tiny villages in the Himalayas. Places where weather changes to meet the scenarios of religious rituals. I was coming there in a search of spirituality, to pray and heal myself. I am currently working to prepare photobook out of material collected. It opens completely different doors to evaluate material collected. 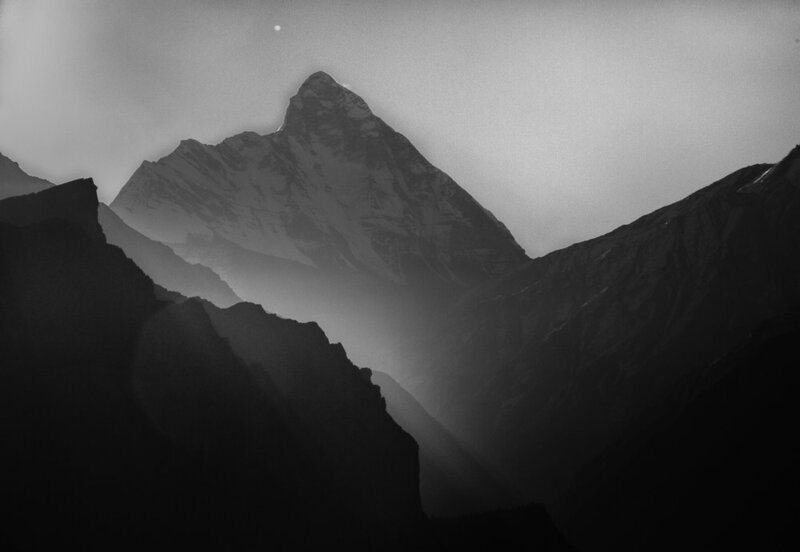 I want the visual narrative to be empovered by words, to tell the poetic, strong , spiritual stories of Nanda Devi. I see lots of photography, and there is a lot of great work done nowadays. Nearly every day, the next great project can be discovered. I tend to prefer to explore results of long term projects, and I like documentary, portraits, and sometimes fashion series. The work must be intelligent, move my imagination and senses as well as create new worlds. Places like Invisible Photographer Asia or Photographic Museum of Humanity are great places to check regularly. 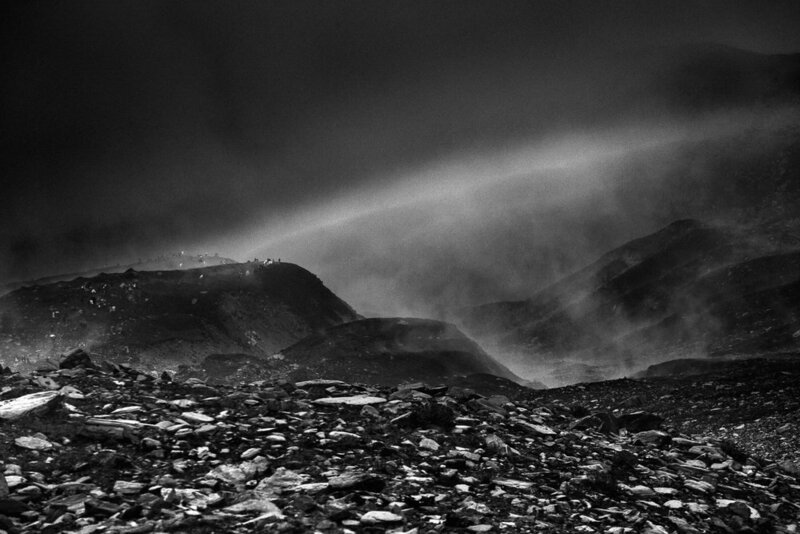 I of course love the work of Chris Rainier, Jacob Aue Sobol, Rafal Milach, Michael Ackerman, Sorab Hura. 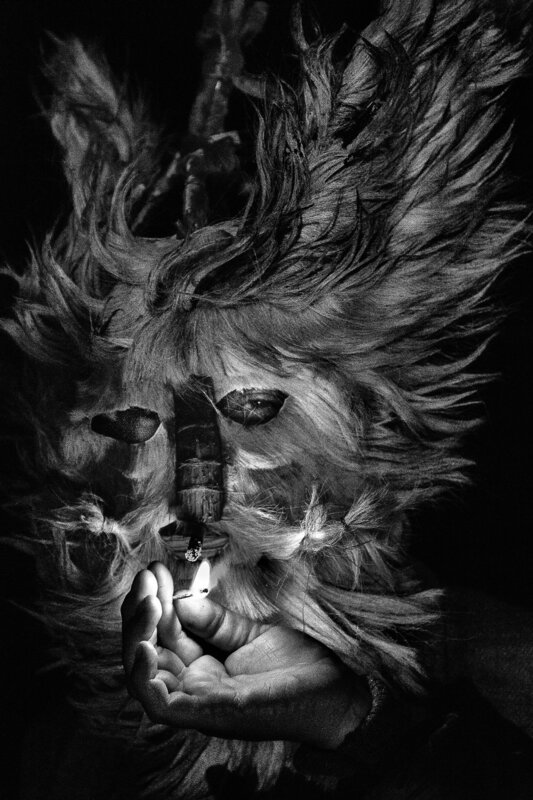 But I am also interested in innovative approaches to photography as a medium. 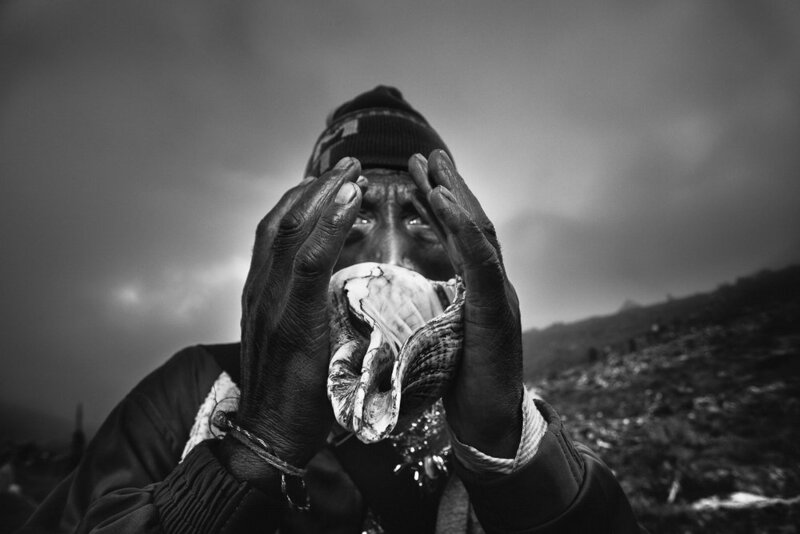 I follow organizations like Photovoice from London for what is new in visual anthropology. Are there any books, movies, magazines or podcasts that you would recommend people to check out? Places like Invisible Photographer Asia, Photographic Museum of Humanity, lens culture, British Journal of Photography are great places to check regularly. Also there is an all slot of online magazines worth to have a look. Lastly, what artists are currently inspiring you? I love the works of Susan Hiller, the way she takes us to the edges of known world, to locations where our usual ways of mapping become hesitant. You can follow more of Martushka's work on her website and another project she's a part of, Stories From the Himalayas, website!